The sad fact is that a majority of the population in the United States and overweight and suffering for a number of ongoing illnesses related to their food choices and lack of daily exercise. Diabetes, high cholesterol, high blood pressure, heart disease, and various forms of cancer are all directly related to people’s lack of nutritional food intake and the elective choice to ingest toxins. The solutions are always the same and quite simple, eat less, eat healthier, and exercise but people continue to ignore them. Golden Treasures Health and Wellness, Inc. 501(c)(3) is helping people to gain knowledge and inspire them to transition to a healthier way of living through its GSU – Green Smoothie University www.greensmoothieuniversity.org educational lecture series program, online resources, healthy restaurant guides, suggested articles, book, films, and other information and special partnerships. Compassion Campus is an activist club consisting of mindful and inspired students who want to help to make a positive change on the campus and the world. The clubs will be set up on colleges, universities, and high school campuses across the country to help spread the simple positive message that our health is our greatest wealth. Members of these mindful clubs will take an active role in distributing information from groups like PETA, Compassion Over Killing, and the Humane Society, which show that compassionate eating habits and healthy eating go hand-in-hand. Club members will also handout resource guides to local healthy restaurants and grocery stores near campus. 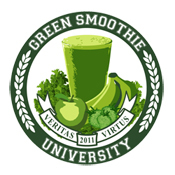 Green Smoothie University’s staff will assist the Compassion Campus clubs by providing them with educational materials and a plan of action to create an effective outreach education program on their campus. Engage people in conversation about the lack of the ethical treatment of animals, especially recognizing the harm to animals in the factory farming industry. Keep conversations focused on compassion for the animals, personal health, and caring for the environment. Guide people to a variety of educational resources on the Internet both inside the Compassion Over Killing family as well as other resources like; www.cok.net, www.peta.org, www.TryVeg.com, www.vegrecipes.org, www.eggindustry.com, www.chickenindustry.com, www.happycow.net, www.veganoutreach.org, www.chooseveg.com, etc. Inspire students to try a vegetarian diet on a part time basis and for them to try in groups for additional support. Maybe suggest starting with a meatless Monday program. On Campus – Distribute educational literature on campus to libraries, cafeterias, student centers, etc from established organizations like; Compassion Over Killing, PETA, and the Humane Society. Off Campus – Expand the educational literature distribution to public libraries outside of campus and other willing partners like vegetarian friendly markets and restaurants. Leafleting – Hand out literature directly to fellow students, faculty and visitors at specific events and locations that create a lot of traffic like sporting events, concerts, and other large gatherings of the student population. Public transportation centers like train lines are especially good places to hand out literature for people to review on their commute to and from work. Fed Ins – Specify and utilize heavy trafficked areas to give away vegan friendly foods like hotdogs, burgers and dairy free desserts. Local Restaurant and Grocery Store Guides – Provide students with a contact one sheet or folded brochure of vegetarian friendly restaurants and health grocery stores near their school. Cooking and Food Shopping Seminar – Coordinate specific seminars and informational lectures from local organic markets to provide a basic vegetarian cooking class and a list of easy-to-prepare items that would appeal to a college age demographic. Create a strategic marketing plan that can be executed using minimal monetary investment. Establish a small committee of volunteers to help execute the strategic marketing plan. Create a contact list and email group. Establish a weekly meeting for the committee that could be done via conference call. Create a campus database in order to market to and track the various clubs around the country. This database would contain contact information for all of the members associated with a particular campus group. Create a letter of introduction describing the specific purpose of the outpost club and the shared mission statement of Green Smoothie University. Pursue a National Spokesperson to be attached to the campaign that appeals to college age demographic. Create a specific newsletter or electronic zine possibly titled “The Compassionist,” blog, Facebook page, Twitter string, MySpace, and website for issues and communications related to this outreach campaign. Just about everyone is opposed to cruelty to animals, and many people are aware of the specific abuses endured by animals killed for food. But it’s a basic human tendency to resist change, so people will defend their animal-based diets to their vegetarian friends. It helps to have answers ready for some of the most common questions that people ask. People are natural omnivores. We’ve been eating meat for thousands of years. That’s true. People have also owned slaves, kept women from voting, and forced children to work in factories. Just because something has a long tradition doesn’t mean that it’s right. Modern factory farming and slaughter practices inflict horrendous abuse on billions of individual animals, and we directly support those practices every time that we eat animal foods. 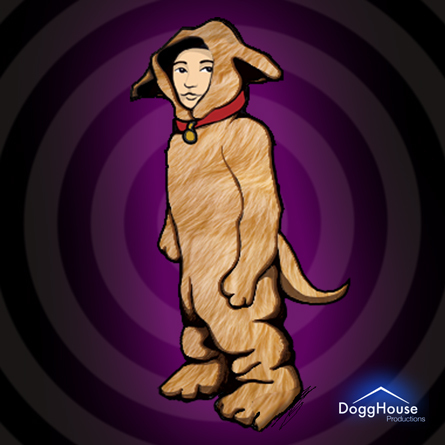 Here’s a thought experiment. Imagine giving a hamster and a carrot to a small child. Which one does she play with and which one does she eat? Now imagine giving the hamster and the carrot to a cat. Natural meat-eaters don’t need their meat shrink-wrapped, cooked, and served with a nice sauce. I respect your right to be vegetarian. Why can’t you respect my choice to eat meat? I agree that personal freedom is a fundamental right, but as a society, we must set limits on personal freedoms when others might be hurt. For example, people have the right to care for their children and animal companions as they see fit, but that freedom doesn’t include the right to beat a child or a dog with a baseball bat. The right to humane treatment for all outweighs the right to personal freedom. Animals raised for food are routinely treated in ways that would result in felony cruelty-to-animals charges if dogs or cats were the victims. The choice to eat meat leads directly to terrible suffering for the animals involved. But I love the taste of meat. I could never give it up. Someone once put it to me this way: “I love animals. They’re delicious!” Meat is tasty to many people, and if vegetarianism is going to be a lifelong exercise in deprivation, who wants to sign up for that? I enjoyed eating meat for many years myself, and it does taste great. But once you know how cruelly farmed animals are treated, it’s hard to insist that your dietary preferences are more important than the pain of animals who are just as intelligent and friendly as your dog. Sure, I miss some of the things that I used to eat. But I’ve discovered delicious new recipes and flavors as well as amazing vegetarian convenience foods. And with so many things wrong in the world that I can’t control, it’s incredibly satisfying to know that I’m preventing suffering every time I eat. Going vegetarian is great for animals, but it’s not the only way to help them. If you feel like you can’t give up all animal foods, start by not eating meat just one day a week, or try not cooking meat at home. Most people know and cook only a dozen meals, so you really only have to learn 12 new meat-free recipes to reach this goal. Another way to help is to share this video with friends. Don’t let the size of the problem prevent you from doing what you can to help animals. What about humane/grass-fed/cage-free animal products? Buying humanely raised animal products is a step in the right direction. But slaughter practices for almost all animals raised for food, even the humanely raised ones, are very bad news. Chickens are often scalded to death in feather-removal tanks while they are still conscious, and it’s not uncommon for cows to reach the knives on the assembly line while still alive. Many nice-sounding labels used on animal products don’t ensure humane treatment and are not strictly regulated or enforced. “Cage-free” egg-laying hens have more room to move, but most of them still have part of their sensitive beaks burned off. “Natural” beef must not contain artificial ingredients, but the animals are still dehorned and castrated without pain relief. I love this question. The people who ask it are kind enough to consider that it might be difficult for me to watch them eat meat. Someone who shows this much compassion for a friend might also be sympathetic to the plight of animals. I always say, “Please go ahead!” and then answer their questions about vegetarianism with gratitude for their thoughtfulness. The best answer to questions from your meat-eating family and friends might be the unspoken one. Every time that they see you enjoying delicious vegetarian food, they’ll think about the choice that you’ve made. Learn some great veg recipes and take them to parties and dinners. Live a happy and cruelty-free life, and people will notice.